A wrongful death claim can be made anytime a person dies as a result of another’s negligence. Although a death can be cause by various types of incidents, there are some specific issues that are involved with this type of claim. 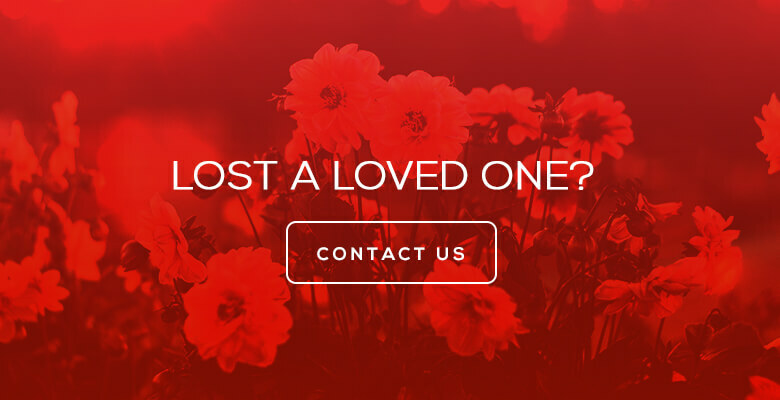 At the Philadelphia law firm of Rosenbaum & Associates, we want to make sure that the family is compensated for all their losses, both emotional and financial. A Philadelphia wrongful death attorney at our firm understands that this is a difficult and emotional time. We want to protect your rights and make sure your family does not have to endure an additional hardship. Our experienced attorneys at Rosenbaum & Associates have successfully helped many families who have lost loved ones, and provided them with financial security. What can my family recover? Recovery for wrongful death is created by state statute. Jeff Rosenbaum, a Philadelphia wrongful death attorney, says the purpose is to compensate the decedent’s survivors for pecuniary loss they have sustained as result of a family member’s death. That is, loss suffered by the relatives as a result of the deprivation of the part of the earnings of the deceased that the relatives would have received from the deceased if he lived. This includes money that the deceased would spend or give to his or her family for housing, food, clothes, health care, education, recreation, entertainment, and gifts. In addition, there is recovery for the value of the services, society and comfort that they would have given to the family had the lived, including work around the home; provision of physical comforts, services, and companionship. For purposes of determining whether parent or child can maintain an action under the Wrongful Death Act in Pennsylvania, a “family relation” exists between parent and child when the child receives from parent services, maintenance or gifts with such reasonable frequency as to lead to expectation of future enjoyment of these services, maintenance or gifts. In addition to claim under the wrongful Act there is a separate claim known as a survival action. In this claim there can be recovery for damages which the deceased could have sued for in his lifetime, this includes pain and suffering of the deceased prior to death, the cost of medical, nursing and hospital care, the gross loss of the deceased’s earning power from the date of injury until death, and loss of earning power less personal maintenance expenses from the time of death through the remainder of the deceased’s estimated life expectancy. Recovery is not permitted for loss of the enjoyment of life, or shortening of life expectancy. Who is entitled to make a survival claim? Survival action is an action belonging to the estate of the decedent for damages suffered by the decedent prior to his death or suffered by his estate. Therefore, the action is brought by a representative (administrator) of the estate. Damages recovered under a survival action belong to the estate, and are subject to estate and inheritance taxes and the claims of decedent’s creditors, and pass according to the terms of the decedent’s will, or according to the intestate laws if he died intestate (without a will). Damages for wrongful death require the plaintiff prove expected lifespan of the deceased, future earnings, estimated cost to maintain the decedent, and any amount that would have been given to his or her beneficiaries. Economists or actuaries tend to be used to analyze and calculate any damages. Handling the logistics of a funeral and burial (or cremation) can be emotionally and logistically challenging experience, no matter the circumstance. When the family believes that an individual or organization caused the death, the process can become even more fraught and confusing. The National Funeral Directors Association in 2012 estimated that the average funeral cost exceeded $7,755, not including additional costs, such as gravestones, funeral plots, etc. Including those costs brings the average funeral to approximately $10,000. By contrast, the average cremation costs less than half of that amount. To cover the expenses, the family can seek compensation from the party that directly or indirectly caused the death. However, loved ones should take care to identify and control costs; to document every part of the process; and to save receipts and paperwork. The funeral director should be able to provide a complete catalogue of potential costs, including cemetery fees, casket costs, transportation costs and other miscellaneous fees. Work with loved ones and friends to coordinate the funeral and burial planning. First, identify a locally convenient funeral home that shares the family’s values and that has a strong reputation. Ask for help to transport the body of the loved one to the funeral home, and then coordinate to develop plans for the funeral service. The funeral director should help the family identify where and how to obtain flowers, a casket and other necessities. In addition, the family will need to coordinate cemetery planning at this stage. The funeral director and representative of the cemetery can work with the family to accommodate requests, find a burial spot and organize the process. In addition, the family will have to handle critical money related, insurance and legal matters, including locating the last will and testament, handling the probate process, publishing death notices, and filing for insurance and other benefits, including wrongful death claims. The family may also need to round up participants to prepare eulogies and serve as pallbearers. Solicit friends and loved ones to help with the funeral and burial as well as with other critical logistics. For instance, if the decedent lived alone, the family will need to need to shut off the electricity and cable, collect mail, prevent looting, care for any pets at the home, etc. Work with this support team to develop a checklist and action plan, and be sure to document all of the costs and expenses, so that the liable party in your wrongful death claim can pay an appropriate reimbursement. In addition to seeking medical and funeral costs, the family can seek compensation for the decedent’s lost income and retirement benefits as well as other benefits that would have accrued, pain and suffering, and loss of companionship and consortium. Finally, family members can seek what are known punitive damages, which the court awards in cases in which a person or company behaved in a grossly reckless, careless or negligent fashion. If you would like more information about wrongful deaths in Philadelphia, please contact a Philadelphia wrongful death attorney online or call us at 1 800 7 LEGAL 7 for a Free Case Evaluation.